How does Ubi compare against Mimioteach ? Mimioteach has become a quite attractive alternative to Interactive whiteboards (IWBs) to a lot of educators. If you already own a projector, there is no reason to replace it completely with a touchscreen or a brand new IWB. 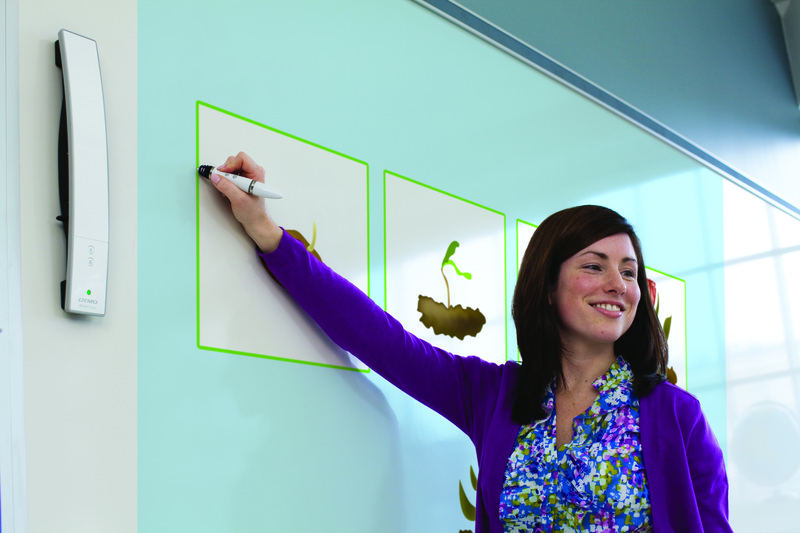 You can attach Mimioteach to your whiteboard and get a comparable experience. The device is also very portable, which adds to its value. Mimioteach works with the single stylus that is available as part of its package. It supports a typical mouse control experience using this stylus. The set up of Mimioteach is easy since it connects wirelessly to the PC. However, the user has to perform a manual calibration every-time the device is set up, buy clicking on nine dots on the screen. In the past Mimioteach has been bundled with some major short throw projector offerings, but currently you can purchase it separately. It is currently listed on Amazon at $899. Dependency on a stylus: interactivity using stylus is old fashioned and often un-intuitive. Having spoiled by tablet and smartphones, users have realized the easiness of finger touch. Not having to worry about a lost stylus and being able to walk up to the display and interact is powerful. Lack of touch support: Edge at best simulates a mouse. This can make simple tasks such as scrolling a web browser a chore. You have to walk to the other side of the display and use the track bar instead of just swiping down the page. No multi-touch: Mimioteach does not offer any multi-touch support, which means no pinch and zoom on browsers or maps. Which also means no multi-user interaction. Manual calibration: Having to click through dots, each time just wastes valuable time in class or meeting. This also makes the interaction experience vulnerable to user errors. Un-intuitive annotation app: The annotation app that comes along with the device, requires quite a bit of training before you get used to it. This is another tame waster, where the user wants to just get going without wasting time. And of of course the best part. The Ubi Basic package with features comparable to Edge. ( with additional support for finger touch is only $349. Much less than half the price of Edge. Here is a summary table with all the comparison. You can learn more about Ubi sensor and how it can work for you here.